It’s finally springtime and the weather is starting to warm up! The colder temperatures have disappeared and the warm weather is starting to settle in. Many people would argue that the temperatures in the spring are the best of the year, with temperatures in the 70s-80s during the day and a bit cooler in the evening. It’s truly the perfect time to be outside! From our large cabin rentals in Gatlinburg and Pigeon Forge, you can sit outside on the beautiful spring days and enjoy the sounds of birds chirping through the clear skies. It’s springtime, so the wildflowers are blooming throughout the area. All over Pigeon Forge and Gatlinburg, you can see the flowers blooming and trees starting to grow bright green leaves. You can even see the spring flowers and bright colors emerging right outside our large cabin rentals in Gatlinburg and Pigeon Forge. In the Great Smoky Mountains National Park, the spring wildflowers start to emerge in late February and bloom throughout the season. If you want to truly experience the flowers and blooming plants in the mountains, visit during the Spring Wildflower Pilgrimage to explore the Smokies. The Smoky Mountain waterfalls are a great way to experience the spring months. During the winter, the waterfalls freeze over (which make them beautiful), but the spring waterfalls are even more beautiful! This makes for great hiking options, too. You can take hikes straight to waterfalls where you’ll be able to cool off and get some great pictures. Plus, our cabin rentals are only a few short minutes from the national park. From Gatlinburg or Pigeon Forge, you will only have to take a couple of minutes to drive to the mountains and start your hike! For more information about the waterfalls in the mountains, click here. There’s nothing more adventurous than spending spring in Gatlinburg and Pigeon Forge. When you visit in the spring, there’s more trails open. Many trails close down during the winter because of the icy conditions and extremely cold temperatures in the mountains. But, each year, the opening days of the trails and picnic areas happen in the spring. Of course, exercise! The weather is perfect, the flowers are blooming and there’s no better time to get a little bit of exercise! Go for a hike, walk around the Parkway or just spend a little time outdoors at your cabin. 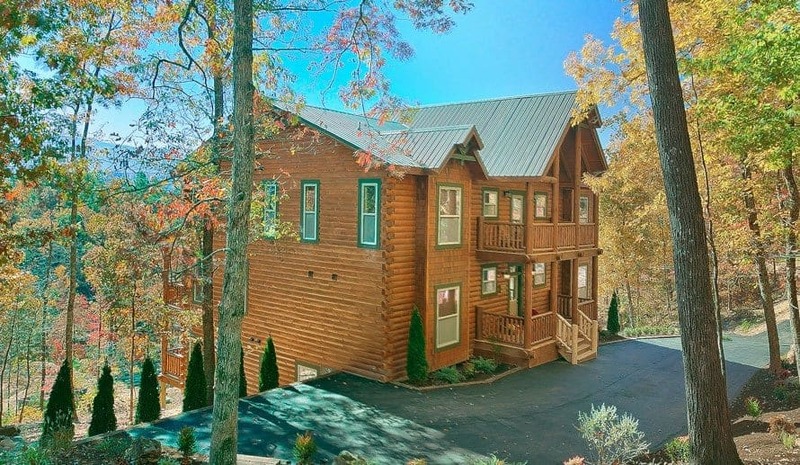 To start planning your spring getaway, take a look at our large cabin rentals in Gatlinburg and Pigeon Forge and book yours today!